It is important to remember when searching for a dentist to treat your TMD that according to the NIH “there are no certifications in dentistry or any other medical field specifically to specialize in TMJ”. What that means is the title of “TMJ Specialist” is a self proclaimed title rather than one that is given because of additional training or certification. Many patients have as much success with a general dentist vs a “TMJ Specialist” This doesn’t mean there are not doctors who primarily focus on TMD, it just makes them a little more difficult to find. Contact the closest dental school. http://predds.net/dental-school-list/ A list of all the dental schools in the U.S.
Visit the web site of the American Academy of Orofacial Pain, www.aaop.org to search for dentists that treat TMJ disorders. Find a link to the search site in References. Select your state in the drop down box. Review the list of dentists in your state who treat TMJ disorders, as well as their office addresses, telephone numbers, e-mail addresses and web sites. You may want to evaluate the list by focusing on dentists that are closest to you. You may also want to consider asking whether these dentists accept certain kinds of dental insurance, whether they consider alternative therapies for pain management, or if their practice focuses on a particular patient demographic, such as children, teens or adults. http://www.ada.org/localorganizations.aspx List of local dental organizations by state. 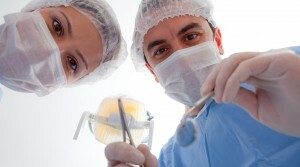 http://www.healthgrades.com/ Search for dentists and doctors. The site provides information on background (sanctions, licensing, education etc) as well as patient satisfaction surveys. http://www.angieslist.com/oral-health/tmj.htm You will need to join, however, the dentists listed are not paying to advertise. The recommendations are made by patients.